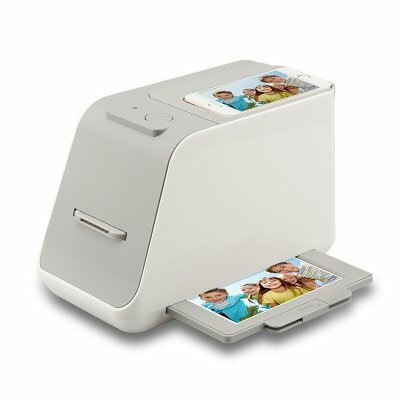 Successfully Added Smartphone Photo/Film Scanner - For Phones Up to 6 Inches, 1800 DPI to your Shopping Cart. This is a Smartphone Photo and Film Scanner that has been developed to offer a quick and easy solution for scanning and sharing 35mm photos. The scanner is designed with a direct light panel which illuminates your film; scanning each film is as simple as capturing a photo on your phone plus it scans at a quality perfectly capable for archiving, sharing and even printing. The Smartphone Photo and Film Scanner is compatible with phones that are up to 6 inches. Download the appropriate app for your device to get started. 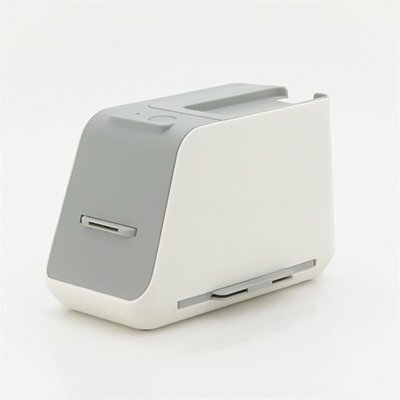 Boasting a super fast scanning speed of four seconds, this scanner is ideal for mass producing. With an 18000 DPI resolution you can ensure that the final output is of the highest quality and you can treasure these photos. Powered by either four AA batteries or via mini USB, this scanner is light and portable.